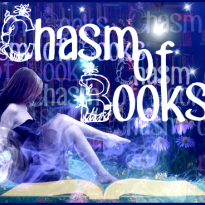 The blog author of Chasm of Books, I enjoy reading and reviewing novels. I prefer some type of fiction (fantasy, dystopian, sci-fi, etc.) more than anything else. I find non-fiction very boring and dull. I'm willing to read both electronic and physical books, but I tend to read faster and more often if I have the physical item in my hand. Some of my favorite authors include Marissa Meyer, Veronica Roth, Jane Austen, and Bram Stoker.